Where’d all the cops go? Following a nationwide trend, Washington’s inmate populations at its state prisons and local jails are expanding. Law enforcement, however, isn’t expanding with it. In a story in today’s Kitsap Sun, we report that jail capacity is up at our local county lockup, thanks to some proactive planning that left some empty jail beds. However, Kitsap County Corrections’ Chief Ned Newlin says he’ll need to hire 15 to 20 new officers to cover the new space. But cops are hard to come by these days. I recently rode along with Swift Sanchez, a Suquamish Police Officer who is finishing up a master’s degree in criminal justice. In layman’s terms, the Taser. I’ve written much about the weapon on this blog. But in Sanchez’s paper, she talks about the need for “best practices” in the Taser’s use. Basically, what are the situations in which it will best quell a potentially violent encounter? She calls the weapon a “bridge” between “soft hands” techniques — basically going physical with a subject — and lethal force options, i.e. an officer’s sidearm. I have posted the abstract to her paper below. Enjoy! It took awhile and the help of virtually every law enforcement agency in Kitsap County. But in the end, the thing that led authorities to Duane Michael “Mike” Sloan, 33, was a traffic stop. Sloan was on the run for his role in a possible kidnapping scheme, according to the Kitsap County Sheriff’s Office. He was last seen Friday after allegedly leading police on a chase through a neighborhood north of Poulsbo. But he was caught on the 300 block of Hewitt during a traffic stop at approximately 12:46 a.m., wearing a black wig and ball cap. The driver he was riding with apparently ran a stop sign so police stopped the car. Law enforcement officers nationwide will tell you traffic stops more than anything else lead to fugitive apprehensions. First a lawsuit. Then, a lively debate on this blog. 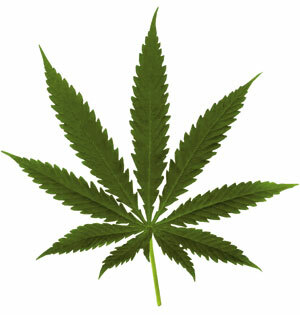 And now, a bill in the legislature aimed at clarifying the legal use of medical marijuana. Senate bill 6032 would primarily attempt to protect medicinal marijuana users — and their designated health care providers — from legal or criminal action, as well as allow those whom law enforcement determines to be using pot legally to keep their supply, rather than see it confiscated. It would also protect law enforcement from legal action “for failure to seize marijuana,” when they determine a person’s use falls under the state’s legal definition. The bill is scheduled for its first hearing at 8 a.m. Feb. 27 before the senate’s committee on health and long term care. It is important to keep in mind, however, that though many states have medicinal marijuana laws on the books, the federal government still bans it outright. A 42-year-old Bremerton man was pulled over Monday near the 100 block of Callow Avenue on suspicion of imitating an emergency vehicle. 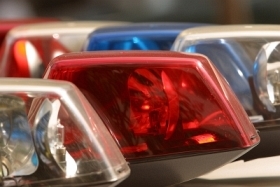 A Bremerton Police officer stopped his car shortly before 10 p.m. after he saw the 42-year-old backing up his truck onto the road, while in the man’s rear window a “strobe light” was flashing that stopped traffic around him, police reports said. The officer told him this practice was a no-no outside of emergency vehicles. The man said he bought the truck at a car show and said he wouldn’t use them again. Blogger’s Note: Here is another installment of your inquiries after seeing lots of lights and sirens somewhere in our area. Two questions — one in an e-mail and one on this blog — are answered below. Feel free to add your own questions or comments as well. The first question concerns a pedestrian accident that one reader says occurred on Sedgwick Road in South Kitsap. The other inquiry comes from a blog commenter who was wondering why a bunch of patrol deputies had responded to Colchester Drive — also in SK — on February 16 or 17. February 21, 2007 Why the Cops? Anyone else getting more and more scam e-mail these days? It could be just me. But I doubt it. Here’s one I got this morning. 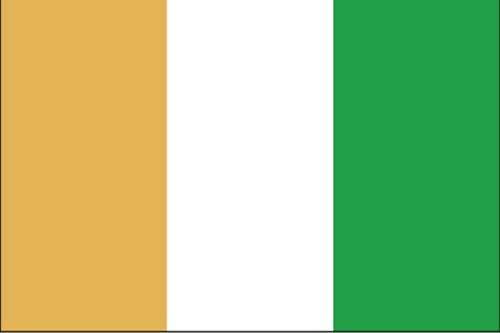 It uses the Ivory Coast‘s qualifying for the World Cup this year as its rouse. Oh, and feel free to post your own scam e-mails below. There can’t be enough written on this topic — people are still falling for these things. I was talking Thursday with Sgt. Randy Plumb, head of Bremerton Police’s special operations group, who told me a staggering drug statistic. Bottom line: the numbers of methylenedioxymethamphetamine cases are up. Whatever you call it, Plumb’s drug detectives are finding tons of it. Between 2001 and 2004, detectives found “almost none” of the drug, which comes in pill form, and when taken, releases — for lack of a better phrase — all of the brain’s “happy” energy at once. But in 2005, detectives seized 928 pills. And in 2006, they found 1,928 pills. Already 212 pills have been found in 2007, Plumb added. There is certainly a trend here. But what does it all mean? Anyone have thoughts on the matter? Blogger’s Note: The following is what I hope will become a series here at the Forum. I’ve asked area law enforcement officers to sum up their days in brief essays. Below is the first one, written by a (brave) Officer Nick Hoke, of the Poulsbo Police Department. It’s 10:15 pm and I’m getting ready to go to work. Night shift. Police patrol from 11 pm to 7 am. I put my uniform on quietly so I don’t wake my wife. Our two young boys already have 2 hours of sleep in their beds and I envy them. I put on my kevlar vest, which is thicker than it needs to be because I’ve added two extra metal chest plate inserts – one for my wife and one for my boys. I put on my black leather duty gunbelt. The belt carries my police radio, cell phone, a taser, an extra taser cartridge, a .40 caliber handgun, 30 extra bullets, pocketknife, pepper spray, collapsible baton, and two sets of handcuffs. Most of those things I never even use but since somebody’s life might depend it someday, I carry them. I’d rather have them and not need them than need them and not have them, and I don’t mind the extra weight. When I button my shirt up I sometimes wonder if I’ll be taking it off in the morning, or if it will be cut off by a trauma team at the emergency room in Harborview. Blogger’s Note: A story in USA Today reported on two studies that say cameras that catch red light runners at intersections are effective. Here’s the take of my colleague Steven Gardner, who writes the Bremerton Beat. (Here’s a) news item from USA Today, red-light cameras work. First, researchers found that violations dropped by 36% after yellow lights were extended to give drivers more warning that the light was about to turn red. After red light cameras were added, remaining violations dropped by 96%. Bremerton plans to install the cameras this year and is taking bids at the moment. On a related note, state Sen. Derek Kilmer, D-Gig Harbor, is sponsoring a bill that would allow the cameras to catch speeders in work zones.